I wondered who would be coincidentally aligned with me in the hallway (Barbara Cutler), in the elevator (nobody in the elevator; however, when the elevator door opened I was ambushed by three—Molly? and partners?—I cannot remember who exactly: emotional blackout), in the lobby. An event was being held in the ground floor lobby, Young Women’s College Access and Leadership Development event. Also, a group of Latino teenagers were in their new office, ATLAS, in one of the offices on the ground floor lobby. Walking along Atlantic Avenue, I took a picture of Cooper, the dog, with his owner’s permission, and I saw State Senator Montgomery’s administrative assistant; she looked somewhat harried. I cannot remember if we walked past each other directly in front of USPS post office or not. I went to Bank of America ATM, the nearest bank, to make a withdrawal and I sent $200 to Wesley via Western Union at PL$ on Fourth Avenue at Atlantic Avenue. I took a picture Ed Sheeran and Beyonce on the two-way television screen. Babson College is a private business school in Wellesley, Massachusetts, established in 1919. Its central focus is on entrepreneurship education, and it is often ranked the most prestigious entrepreneurship college in the United States. It was founded by Roger W. Babson as an all-male business institute. 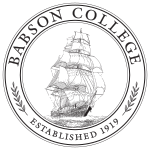 Now co-ed, Babson College offers bachelor’s degrees in business administration and undergraduate students have the opportunity to declare concentrations in more than twenty-five areas of study. Through Babson’s F. W. Olin Graduate School of Business, the college also offers master’s degrees in business administration, finance, accounting, entrepreneurial leadership and management. Often referred to as the “Entrepreneur’s College”, Babson is renowned for immersing its students in the entrepreneurial lifestyle and culture. Babson is also notable for its Foundations of Management and Entrepreneurship course, in which every enrolled first-year student starts, runs and dissolves a company. Babson currently offers undergraduates nearly sixty entrepreneurship-related courses. These courses are taught in tandem with various traditional liberal arts courses, which represent over 60% of the typical student’s schedule. Every entrepreneurship course at Babson is taught by professors who have either started, sold, bought, or run successful businesses. Babson is considered very selective and currently has an undergraduate acceptance rate of 25%. Babson College has consistently appeared on the U.S. News & World Report rankings as the number one college in entrepreneurship education for nearly three decades. In 2014, CNN‘s Money Magazine named Babson the number one college in the country for value and in 2015 the magazine ranked it second. The Economist ranked Babson second on its 2015 list of best colleges and universities in outperforming earnings expectations. Babson’s MBA program has also been ranked number one in entrepreneurship for over twenty years by U.S. News & World Report. January 13, 2018. About Me, continued. I don’t know why I feel impelled to post Andrew Corbett’s picture; I just do. Professor Corbett also holds an appointment as a Visiting Professor of Entrepreneurship at Nord University Business School in Bodo, Norway. Even when he is not overtly trying to win attention, his natural instinct — a form of genius to some, a sign of instability to others — is to choose the unfiltered path, as he did Thursday, when he told senators during a White House discussion about immigrants from Haiti, El Salvador and some African nations that the United States should bring in people from countries like Norway, not from “s**thole countries.” Although Trump on Friday appeared to deny having used that vulgarity, he tweeted that he did use “tough” language — a long-standing point of pride for the president, whose political ascent was fueled by his argument that, as a billionaire, he is liberated to say what some other Americans only think. JANUARY 13, 2018. ABOUT ME. I WANT CAROLINE KENNEDY TO BE ELECTED PRESIDENT IN THE YEAR 2020. I’M NOT KIDDING. I REALLY WANT CAROLINE KENNEDY TO BE THE NEXT PRESIDENT.